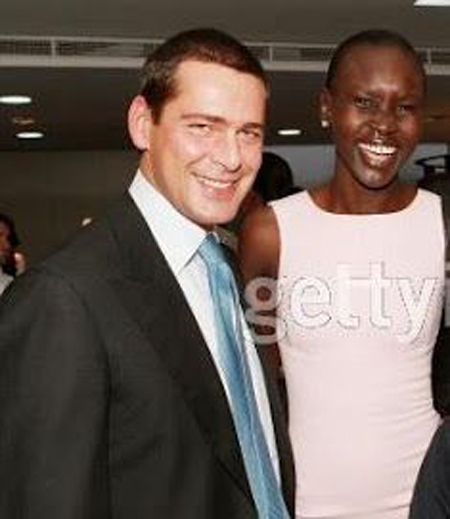 The pride of South Sudan as well as the Dinka people, one of Africa's beautiful great daughter, Alek Wek has made an incredible yet inspiring journey in her life. Coming from a war-torn country, the British supermodel Alek Wek has gone through many hardships in her life, that also includes the death of her father because of the war. Her passion and dedication to the fashion industry have made her a fashion trailblazer and fashion industry's most in-demand models. This powerful African woman has her share of relationship and love stories in her life which is not in highlights that much in the media. If you really want to know whether this hot and fearless model is married or not, then stay with us. Wek who has her own line of couture fashion accessories and handbags with a brand label "Alek Wek 1993 Ltd.", is currently single and not dating anyone. This means that she's definitely not married and super busy in her modeling ventures and awareness campaigns in her home country, Sudan. However, in 2012, on an interview with sow Etan live.co.za, she revealed that her family was giving a lot of pressure on her to get married. She also told the sources that her mother told her how lovely it would be to see her settle down and have kids, for which Alek replied: "I am too busy for that for now!" "My family has been asking me ... when am I going to have a family? And coming from a big family, my mother asks me about it all the time. So, I am working on that." As for now, all we can say that Alek is still an eligible bachelorette and probably waiting for the right man to come along and put a ring on her finger. The sensational model with a striking figure, Alek once dated the popular Italian real estate developer, Riccardo Sala in 2003. The duo met during Italian Fashion Week where Riccardo instantly fell for Alek's long legs and outstanding smile. The duo dated for 12 long years and most of us even expected them to tie the knots. But unfortunately, the pair broke up in 2013 as she revealed about it in an interview with Marie Claire. On that interview, she also revealed how she felt about her complexion and felt ugly. During that time super runway models like Iman, Grace Jones, and Naomi Campbell were most popular and black models were only ever considered worthy of catwalks, commercials, cosmetic brands, and magazine covers if their hair was relaxed and their complexions light. Alek transformed the definition of beautiful when she started her modeling career in 1995 and revolutionized the way the world looks at beauty. You May Also Like: Canadian Fashion Model Stacey McKenzie: Is She Dating a Secret Boyfriend? Know Details. Here's a video of Alek's interview on CGTN America. Enjoy watching! Well, Alek's journey from war victim to international supermodel has inspired many and further continues to do so. We really wish this soulful person and the revolutionary model best wishes for her future endeavors and hope to see her settle down soon. She was born on 16 April 1977 in Wau, South Sudan. She suffered from a skin condition called psoriasis from infancy to the age of 14. She belongs to Dinka ethnic group in South Sudan.